Is indoor air quality harming your health? Ventilation manufacturer Vent-Axia has welcomed DEFRA’s new Clean Air Strategy consultation, published on 22 May 2018, which confirms the importance of clean air in the home. This draft strategy attempts to set a clear direction for future air quality policies and goals. The strategy includes a section on ‘Action to reduce emissions in the home’ which gives practical steps that households can take to reduce exposure, such as ensuring homes are adequately ventilated and making informed choices about the products they use. It also mentions a commitment to improve consumer awareness of the potential impacts of poor indoor air quality (IAQ). The Strategy states how the Government aims to raise consumer awareness of the importance of good air quality. This is a welcome move since BEAMA’s recent ‘My Health My Home’ Indoor Air Pollution Survey cited that 70% of people considered IAQ was at least as important as outdoor air quality and three-quarters of those surveyed thought poor IAQ could negatively affect their health and, if proven, should become a health priority for Government. 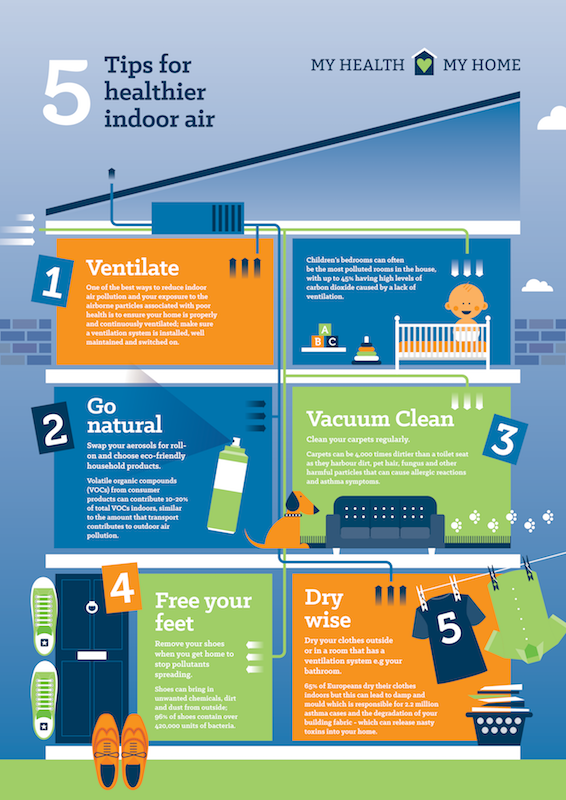 The DEFRA Clean Air Strategy also points to volatile organic compounds (VOCs) posing a risk to health and states that there are a number of practical ways to reduce indoor air pollution from VOCs. This can be as simple as switching to lower VOC alternatives and ensuring that homes are well ventilated to avoid an accumulation of emissions from multiple sources. This is backed up by a recent US study published in Science in February 2018 which suggests that VOCs, contained in items such as cleaning products, cosmetics, pesticides, adhesives and printer ink, lead to ‘substantial emissions’ of air pollutants and rival vehicle emissions. 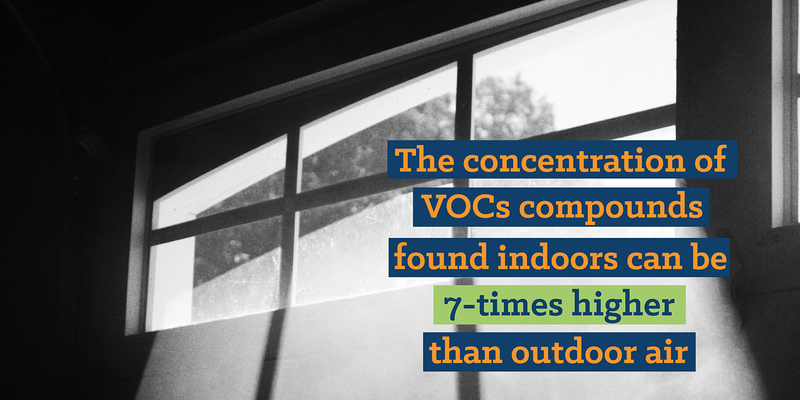 VOCs include a variety of chemicals which can have short and long-term adverse health effects, including lung damage. To help protect health in the home Vent-Axia has been working to provide ventilation solutions to improve IAQ for households. Designed to work with the natural air infiltration, continuous ventilation systems control the air path through the home, preventing the migration of damaging humidity and pollutants, such as VOCs. For new builds, Vent-Axia’s Sentinel Kinetic mechanical ventilation with heat recovery (MVHR) system has a 94% thermal efficiency. For private refurbishments, the Lo-Carbon Svara offers quiet, disturbance-free running helping ensure good indoor air quality and comfort. Meanwhile the Lo-Carbon Revive has been designed specifically with social housing in mind offering an effective continuous ventilation solution for residents. The Clean Air Strategy consultation closes on 14 August 2018.